In his new memoir, Cornflakes With John Lennon: And Other Tales From A Rock ‘N’ Roll Life, esteemed music journalist Robert Hilburn draws on some of the seminal events and encounters from throughout his career, delivering a narrative rich with insight and off-the-record observations. 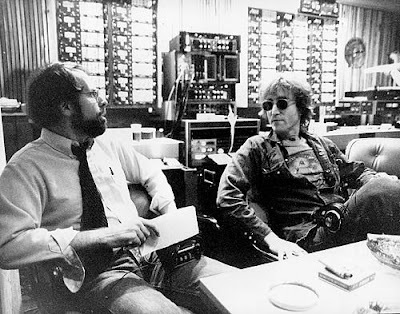 As the pop-music critic and editor for the Los Angeles Times from 1970-2005, Hilburn approached his subjects—whether emerging bands with new albums or established artists during in-depth interviews—with patience and persistence, assessing their faults while encouraging them to live up to the promise of their talent. Since leaving the L.A. Times, Hilburn has concentrated on writing books, Cornflakes With John Lennon being the first installment of that endeavor. He is also a member of the nominating committee for the Rock and Roll Hall of Fame. In the following conversation, Hilburn discusses the craft of music criticism, expounding on the merits of a great album, the measure of creative conviction, and what distinguishes the best artists from everybody else on the radio. As a music critic, how do you discern what’s good apart from your own preferences and tastes? When I was young, I loved movies and music. But I thought, Look, I can’t be a film critic because I don’t know enough about the history of film. I don’t know German film and all that kind of stuff. But I said, “I know rock ‘n’ roll.” I was there when Elvis and Jerry Lee and Chuck Berry all came up. I was buying records. I could tell which artists [were] going to be important and last and which ones weren’t. I just had a confidence that I knew what rock ‘n’ roll was. It’s like if you taste a piece of something, you can tell it’s sugar; you can identify it. You know the essence of it; you feel the essence of it. So I felt I could apply that to rock ‘n’ roll, in a sense. What I was looking for was an artist who excited me as much as Elvis did or Chuck Berry did or Jerry Lee Lewis did. Who could rise to that level? Who could make an original statement as opposed to just making music that was here today and gone tomorrow? When I would get a record, [I would think], How does it sound? Is it appealing? Is it interesting? Does it sound like something you’d like to listen to? That has to be the first criteria. It’s got to be appealing. The second thing I would think of is the vocal. How convincing is the vocal? Does it sound like this really matters to this person? Is it catchy or is it interesting? Or is it just kind of wimpy? And the third thing is what is the record saying? What are they trying to do on the record? What’s the point of view of the record? How original is it? How creative is it? Does it bend the rules? Does is it tell you more about yourself or about society? So I was looking for something that sounded good, that seemed convincing to me, and really did kind of step away from the herd of pop music. Of the, say, 5,000 people who’ve made hits, if you take 20 of those people away, rock ‘n’ roll would’ve collapsed as an art form. Because everybody else feeds off the energy of the really great artists. Think if you took away the Beatles and Bob Dylan, for starters. Look at the hole that would’ve left. If you took Dylan away, the Beatles wouldn’t have been the same. And Dylan wouldn’t have been the same without the Beatles. Dylan could’ve stayed in folk music, but he saw his generation was adapting rock ‘n’ roll as its chosen voice. So he moved over to that, because of the Beatles probably. And then Lennon heard Dylan. My Lord, that made him a much better songwriter. But if you take two of those guys away, and take, say, Pete Townshend away, take Lou Reed away, take Springsteen away, take Bob Marley away, take Joni Mitchell away, that’s where the real art came from. They’re the ones who are the trailblazers and that was what I was always looking for—that kind of person. I know you’re a fan of Tom Waits. Why do you think other artists have been inducted into the Rock and Roll Hall of Fame and he hasn’t even been nominated? I don’t know. There were certain people they just overlooked. I remember one year, I went to the nominating committee meeting, and they were going to pass over David Bowie and not put him on the ballot, not put Joni Mitchell on the ballot, not put Bob Marley on the ballot. And those seem like musts. The people who are on my list [are] Gram Parsons, Tom Waits, and Randy Newman. Those are three artists I think are just superior artists and belong in there. I have no idea why there’s a reluctance on Tom Waits. They put in artists that don’t sell a huge amount of records; you don’t have to sell a lot of records to get nominated. I don’t know why Tom isn’t because he’s an extraordinary artist… It’s a strange thing with Tom. One thing about him is he’s got this obsession to be remembered, to be different, to stand out. He told me a story that one time when he was a kid he went to a used-record store and went through the 99-cent bin. All of these records that were made by these people, they were all forgettable. [He said], “I never want to be another name in that forgettable list.” I think sometimes he even went out of his way to be different. I think he’s a beautiful songwriter just when he does conventional songs like “Ol' ‘55” and that stuff for One From The Heart, those kinds of songs. But I think he thinks maybe that they’re too easy and he wants to be a little more complex. Sometimes I thought he got a little too far out. But I loved The Heart of Saturday Night, from that period, and I loved Mule Variations. I just think he’s an “A” artist. I can’t explain why he’s not in. I think there’s a part of him that’s reluctant to reveal himself in his songs. One time, I did this interview with him, maybe ten years ago, where I went up to near where he lives in Northern California. We met at this restaurant—like a roadside tavern—and he brought in three or four books with him. He brought in a phone book; he brought in a book on how to cook potatoes; and something else. And he started reading though that. It’s just his way of being an interesting character so you can’t get through to him. I said, “Look, Tom, you can just keep doing that or you can really try to honestly answer questions. Because think of people who love your music and who are influenced by your music; they really care about you and want to know a little bit about you. Wouldn’t you like to know about people you care about? Hoagy Carmichael or some[one]?” And he got really resentful, like I was really trying to push down his wall and he didn’t like that. He kind of eased up a little bit and started talking more personally, but it’s still very difficult for him to do that. I don’t know if he just doesn’t want anybody to know about it or he likes the idea of the disguise. In the book, you really underscored how creatively insecure a lot of the major artists are—Bono, Dylan, Cobain, Springsteen. Even in their strongest artistic statements, they’ve had insecurities. Bruce [Springsteen] puts it really well: If you want to keep being a songwriter, you’ve got to keep digging layers off yourself, so you get deeper and deeper into yourself. That's why John Lennon, with that album, Plastic Ono Band, he couldn’t get any deeper than that. And when you do that—when you lay yourself naked—you’re vulnerable. And [so] if somebody says, “Oh that’s a terrible album,” or, “That’s a stupid thing you’re thinking,” that’s just not talking about your work; it’s talking about your own essence in a way. A lot of times, it’s a void in somebody that pushes them to be an artist. It gives them sensitivity. It makes them want to articulate their fears and desires. It’s a way of compensating for things they lack. How do you answer the age-old criticism that you get—usually when you give a negative review—that because you don’t know how to write or perform music, you’re not capable of assessing what a musician does? The fact that you’re not a musician? I found often, when I would take musicians with me to a show, they would get too caught up in the technical aspect of it. How is the guitar player? Is it in tune? Is it a difficult song he’s playing? And I didn’t care if it was in tune or if it was difficult or anything. All I cared [about] was the sound, what came across to me. What was the emotion? What was the feeling you got out of this record? I didn’t care about the construction of it. I didn’t care if the Rolling Stones were great musicians or bad musicians; I just knew “Satisfaction” and “Honky Tonk Women” were great records. Yeah. My thing is totally emotional and, to a degree, intellectual in the sense that I’m thinking about what they’re saying. But mainly it’s emotional. Do you feel this? Does this feel real to you? Is this something you haven’t heard before? Is this band going to new territory? Is the Velvet Underground doing something that the J. Geils Band doesn’t do? Well, yes they are. Is U2 doing something that the Teardrop Explodes isn’t doing? Yes they are. You have to get a sense of rock history, what things are really speaking to your heart and to a truth and adding to the vocabulary of rock ‘n’ roll as opposed to just streaming along and making nice, pleasant, enjoyable records, but not really affecting things. You could take away the whole career of Billy Joel and it wouldn’t affect rock ‘n’ roll at all. You could take [away] hundreds of artists like that—REO Speedwagon, Kansas, Deep Purple—it wouldn’t affect the history of rock ‘n’ roll in terms of this art form. In the book you say you learned from experience that you should concentrate on looking for great, new artists regardless of their commercial potential. For aspiring music critics, though, if you’re consistently writing on good, promising artists no one’s heard of, isn’t that career suicide on some level? My deal with myself all the time at the L.A. Times [was] I said, “Look, I want to personally make sure I find—in each generation as well as I can—the most important artists and write about them.” Some of those artists are going to be successful commercially and readers are going to care about them; some others aren’t and readers are not going to care about them. As long as I’m doing that, I want to also go out and review anybody that becomes popular… I didn’t want to say to the public, “I don’t care who you think about.” So I would make sure I always reviewed the popular act[s] of the day too, but I would just give them a negative review. But I would at least acknowledge that so at least a person could say they saw it in the paper and I just didn’t ignore it… I didn’t want it to be an esoteric kind of thing. Even though I was doing a negative review, there’d still be a big picture and it’d be a big story and so forth; it was acknowledging it at least. How do you interview emerging artists who have talent and promise, but aren’t very good at expressing that in conversation? How do you draw them out? That’s interesting. Most of the time, if there’s something about an artist’s music that interests you, when you start talking to that artist they can articulate something about it. If you just keep asking questions over and over again. Partially it’s the interviewer’s responsibility to make that artist feel comfortable and draw it out of them… Like, Bruce didn’t want to talk about his music in the beginning, so I would keep trying to make him feel comfortable and explain to him why it was good to talk about the music. Often if you ask the right questions and make them feel comfortable, they’ll respond. How do you see the role of the critic insofar as encouraging promising artists to pursue their craft? That’s the whole thing. You encourage them in your review. You say this is a promising artist. Like U2, when you first saw U2, I don’t know that they were great musicians. I’m not sure they were great songwriters; they weren’t great songwriters. But there was something about them; there was an attitude. The instrumental construction of the music had this power. Bono had this power. You just felt this group cared about it. That’s one of the things: Is this group just wanting to be successful or does the group care about making good music? You get the sense of U2 that they cared about it and you wanted to follow them. It took me a few years to realize this, but whenever you go see a new band or listen to a debut album, you’re not just listening to that album and seeing that night’s show. You’re trying to think, Well what about a tour from now and an album from now? Where can they take what they’re doing? Have they got any place to go? To make an example, the Strokes came in and were very successful very quickly with that Velvet Underground sound. And the White Stripes came along at the exact same moment. When I listened to the Strokes, there was nothing. I could see through the whole thing; it was like I could see how the puppet strings worked. At the time, yeah. I could see what they did. I could see how they got these influences together and made this catchy sound, but there was nothing behind it. And I didn’t see where they were ever going to be able to go. But I walked into the Troubadour and I saw Jack White on stage. And I said, “Now this guy is going to go someplace.” This is an interesting artist. You could hit him with a two-by-four and he’s not going to be compromised by the record business. He wants to make great records, not just have a hit record. In that moment, see, I was excited by the White Stripes because I could see them going somewhere. I was not excited by the Strokes because I couldn’t see them going anywhere. After all these years, is it harder for music to fascinate you? Yeah, it is. I think it’s very difficult for a person starting out. Think of all the stuff that’s been written. Look at the ‘60s when the Beatles and the Who and the Stones started off, they almost had virgin territory; they could do anything. As each group comes along, that’s been done before. So you have to take a variation of it; you have to find a new way of saying things. But the biggest thing for me as a critic was—when I first started reviewing—if I’d go into a club and I heard one good song from an artist or a band, I would think, Well that’s interesting, and write about that. As time went on, I realized that there [were] lots of people who have one good song. So it would take more from a band to get me interested than just the one or two good songs. I had to have five or six or an album or a sense that they were going somewhere. The number of times a year I was excited about something was fewer, but when those things came along and measured up to that level, I’d get just as excited as I was before. 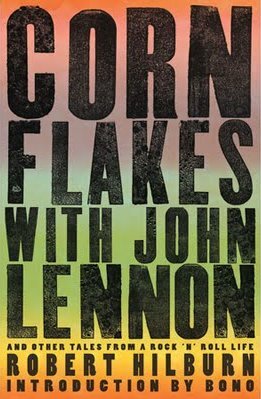 Cornflakes With John Lennon: And Other Tales From A Rock ‘N’ Roll Life, published by Rodale Books, is currently available at booksellers retail and online. Visit Robert Hilburn's official website for more information.